Are you tired of seeing spiders roaming around the comfort of your home? Did you know that you can get rid of them using a spider repellent? Get to know the best spider repellent available today by reading the information below. Spiders are making people terrified of them and making them scream anytime of the day. That is why manufacturers decided to create spider repellents that will help people get rid of these eight-legged animals. If you are trying to kill these spiders then using a pesticide will help you get rid of them. But if you want just to keep them away from you and your home, then using repellents will do. ​Spider repellent comes in different forms, and one is made out of chemical formulas, while the other is made out of natural ingredients. Get to know both forms, by reading the information provided below. Chemical made spider repellents are obviously ones that are made out of chemicals. They are not safe to use around pets and children, and can even harm the environment. If you are going to use these repellents outdoors, it might not only harm the spiders but as well as the plants around you. These repellents might also harm the animals that are inhabiting your backyard. That is why it is strongly important to read the instructions and follow all the precautions once you start using the product. Natural made spider repellents are made out of essential oils that are strongly scented, such as peppermint and lemon. They are safer to use around your pets and children, this not posing any risk to the environment. But of course, there are still precautions that need to be practiced when using the product. No matter how natural is this product, it can cause harm when ingested by both pets and humans because of the mucus membranes that they are which are sensitive. Some people are getting paranoid when seeing just one spider and they end up buying a spider repellent. Typically, you will need a spider repellent ones there is already a spider infestation in your home. But what are the signs to watch out for? Get to know by reading the tips below. One of the first things that you need to know are the usual places where they are hiding. Some of the most common places are outdoor furniture, ceilings, window sills, and corners. There are also some that can hide on the ground, like in the gaps, crevices, sprinklers, basements, garden shades, storage boxes, closets, attics, and other storage areas. Typically, spiders will start making a home in places that are damp and dark. They need places where that are near their food supply, such as other insects, flies, and ants for them to be able to eat easily. When the weather is a little cooler, that is the time where spiders will usually start mating. They within lay the eggs into a sac that is silk, and each of the sacs will have a hundred eggs. Usually, if you start seeing a lot of spider webs in every part of your home, including the window sills, eves, garden, backyard, office, or your home, then this is a sign that there is a spider infestation. The webs will usually come in different sizes and shapes, which will often depend on the spider that is present. The usual webs that you can find are funnel-shaped webs, expansive and large webs, and delicate and small ones. Now, if you are seeing more and more spiders every single day, then this means that they are already in the process of multiplying. This can cause problems especially if you have family members who are frightened by spiders. For offices, if you have clients coming over then this can also cause problems not only for them but you business as well. That is why getting rid of them is strongly significant. These are the signs that you already have a spider infestation in your home that needs to be taken care off. Of course, preventing them from happening again is essential. Here are some tips on how you can avoid the infestation again after using a spider repellent. One of the best ways to prevent the infestation of spider is by sealing the windows, particularly when cracks and leaks are present. Another preventive measure that you can do is by cleaning your home thoroughly since a clean house can look less welcoming to spiders and any other types of bugs. Having a pet at home can scare the spiders away. The cats will also be able to destroy any hidden eggs that these spiders have. Many people who are having problems with spiders are getting a pet as this has been proven to be helpful. Now that you know how to spot a spider infestation and preventing them from happening again. It would be ideal to know the best spider repellent that you can purchase in the market today. Below are the reviews of the best spider repellent, which will help you decide which one is better than the other. 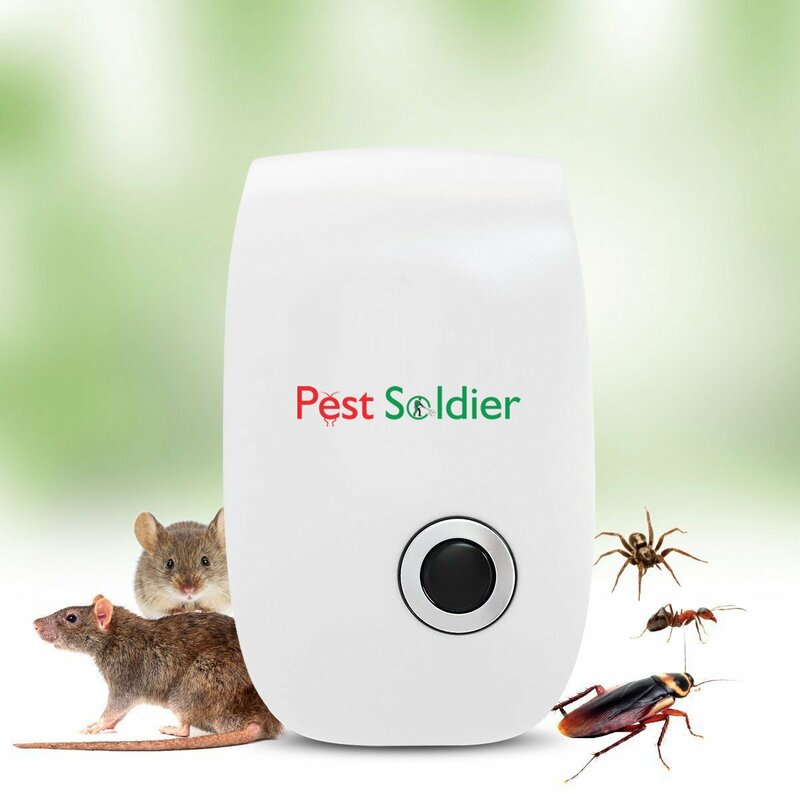 Pest Soldier Pest Control Ultrasonic Repellent - Electric Plug produces sound waves that are inaudible, which will make pests go out of your home in no time. This repellent will not only keep the spiders away from your home, but as well as ants, roaches, flies, mosquitos, and mice. It is also known as eco-friendly and a pocket-friendly one because it comes at an affordable price. This means that you can use an efficient and safe solution to get rid of spiders in the most cost effective way possible. 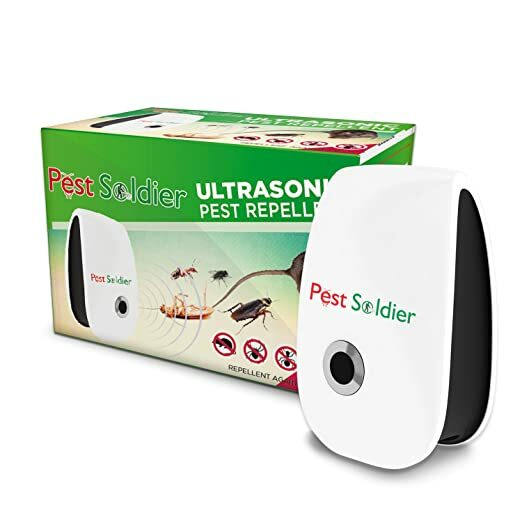 The Pest Soldier Pest Control Ultrasonic Repellent - Electric Plug will let you plug the device and will instantly work well 24 hours and 7 days a week. After 3 to 4 weeks of use, you will see results. Another good thing about this product is that it won’t emit any chemicals that can be harmful to you, your family and your pets. Each of the devices can cover a 1,200 square feet area. 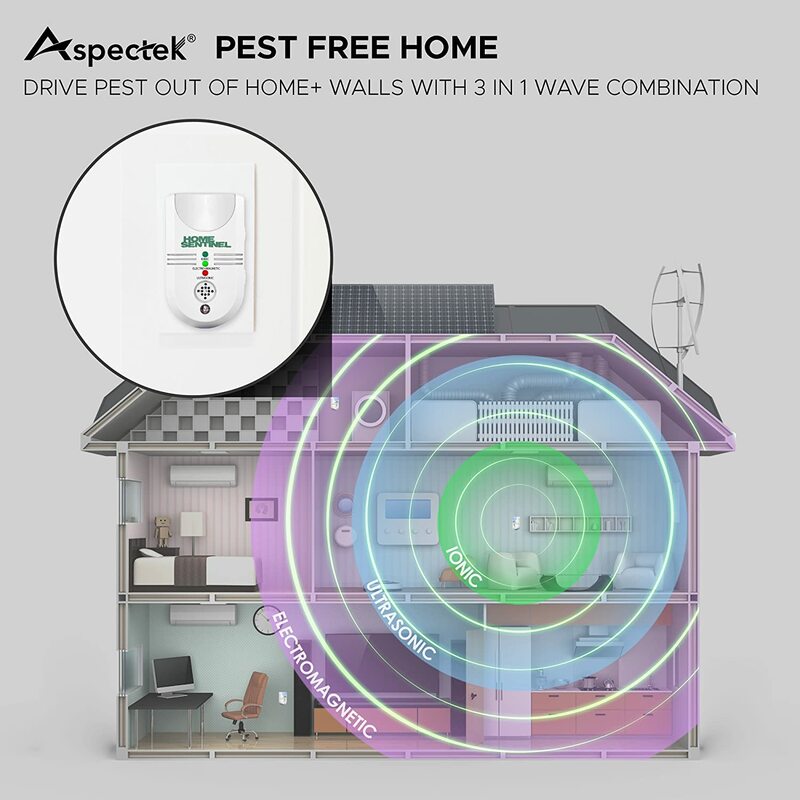 Aspectek - Home Sentinel 5 in 1 Indoor Pest Repeller Ultrasonic Pest Control Pest Repellent uses a high-powered technology, which will create a shield to ensure that your home is free of spiders, roaches, ants, mice, and rats. The combined power of ionic, electromagnetic, and ultrasonic will surely drive the pests and insects away from your home in no time. The Aspectek repelled will create an earthquake like feeling to these pests and insects to ensure that they stay out of the house for good. 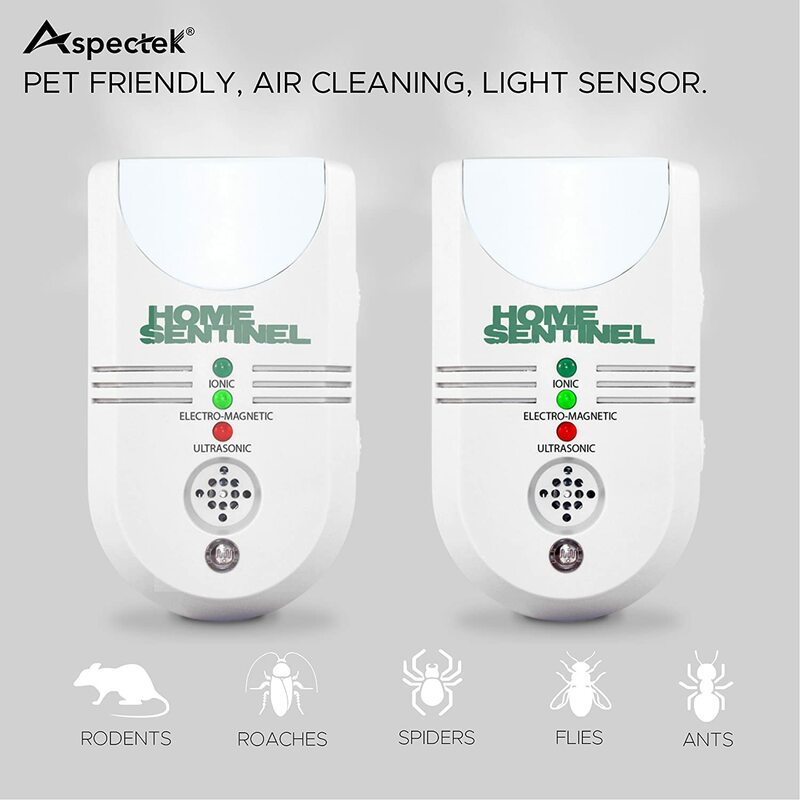 The Aspectek - Home Sentinel 5 in 1 Indoor Pest Repeller Ultrasonic Pest Control Pest Repellent is not high maintenance and is safe to be used at home since it does not emit chemicals. It is also pet-friendly because it won’t cause any disturbances for them, so you don’t have to worry about driving pets away. Put in mind that this repellent won’t be able to penetrate ceilings, walls, and any other hard surfaces. 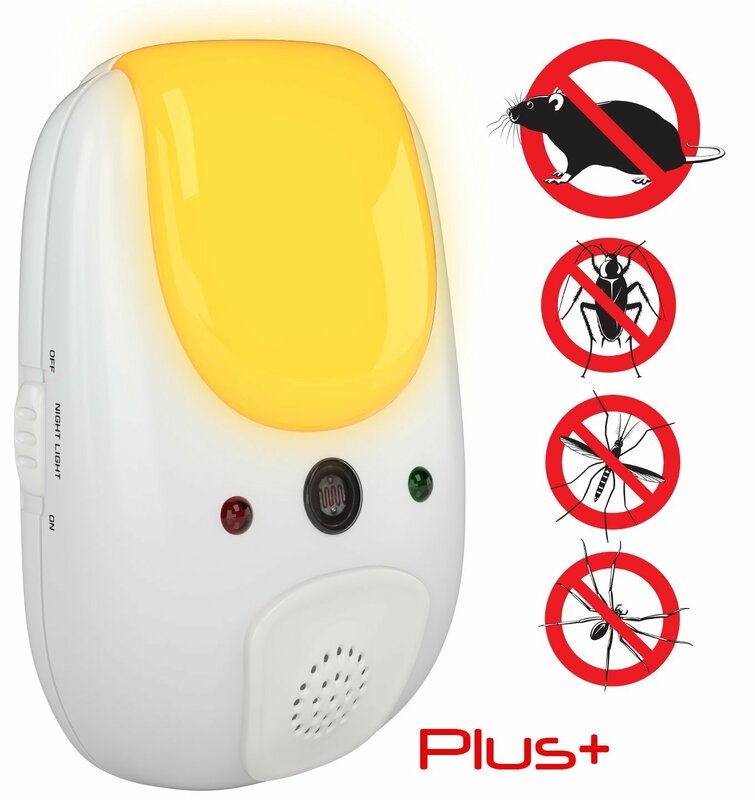 Ultrasonic Pest Repeller - Pack of 6 Pest Control uses a low-frequency wave sounds to ensure that the rats, ants, spiders, rodents, roaches, and mice will be driven away from your home. Most of them are not immune to the wave that this repeller produces, so you will surely be getting rid of them effectively. 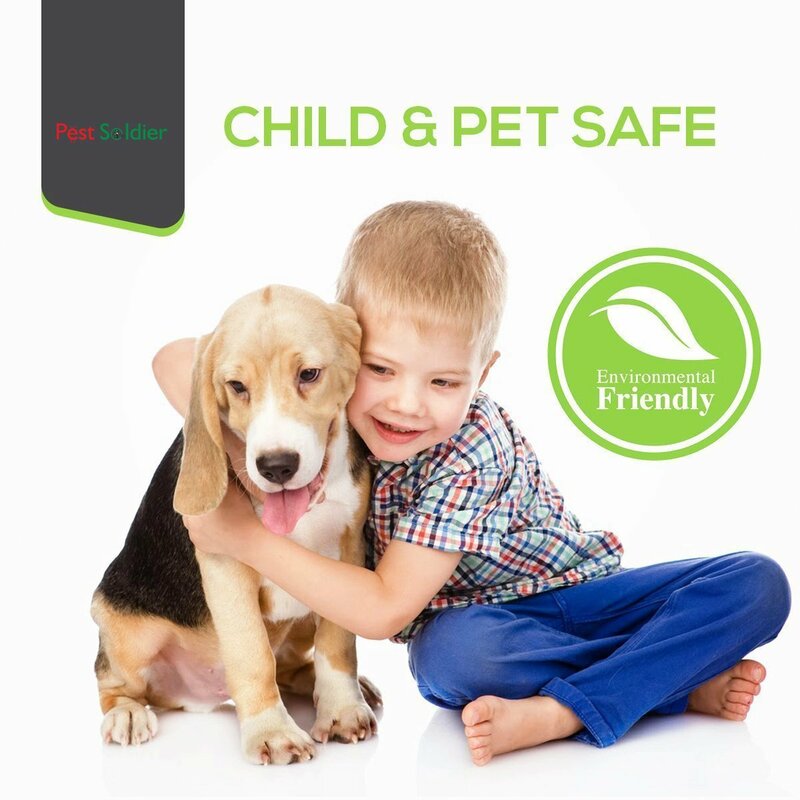 Since it has a low frequency, it makes it safe not just for children but as well as for your pets. You also don’t have to worry about leaving dead rodents and insects around your home because the repeller will only drive them away. 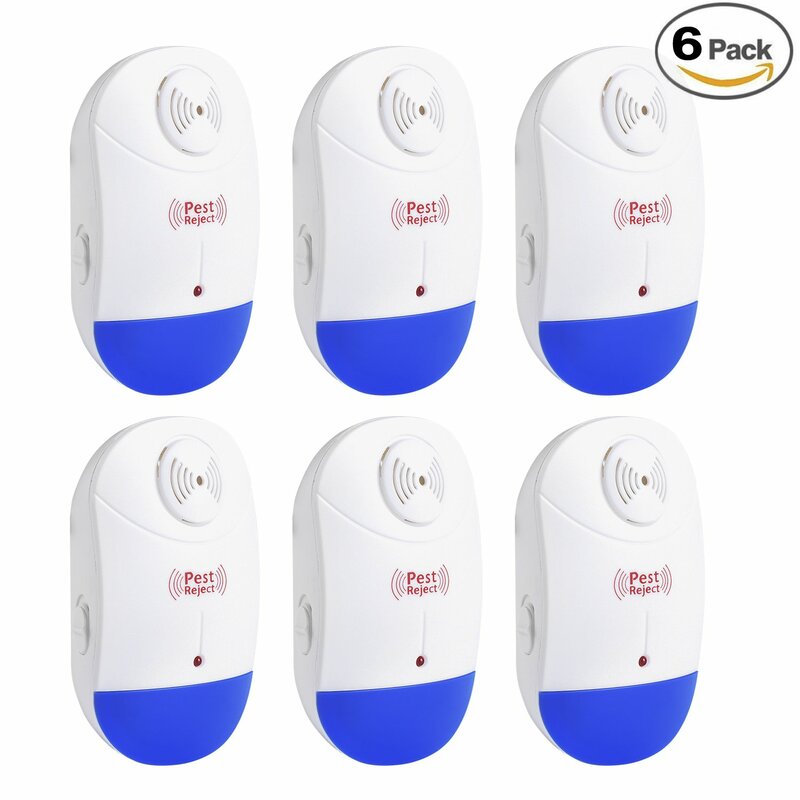 The Ultrasonic Pest Repeller - Pack of 6 Pest Control, can easily be used because all you have to do is to plug it into the socket and allow it to do wonders. Put in mind that you need to plug it at least 30 centimeters away from your flooring to ensure that spiders will get affected by the sound waves that this produces. One of the best things about the Ultrasonic repeller is that it can work to a maximum of 1,200 square feet. The manufacturer is also offering a lifetime warranty, so you no longer have to worry about purchasing a new one. 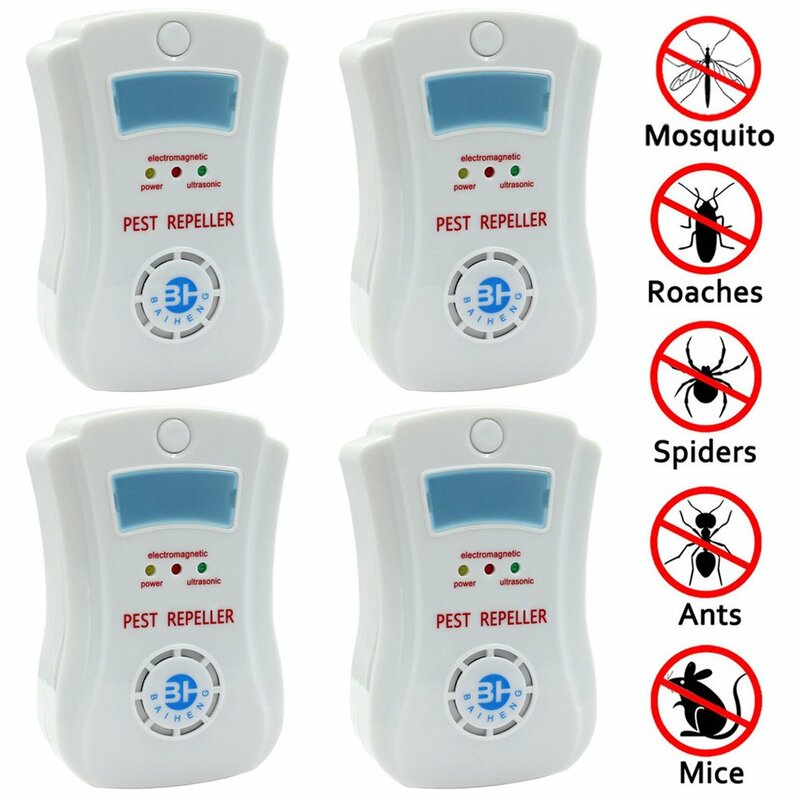 Set of 4 Ultrasonic Pest Control - Pest Repeller Equipment is an innovative and safe unit, which will surely irritate and drive the spiders away from your home. Some of the insects that will be repelled are flies, bugs, ants, and roaches. The Ultrasonic Pest Control works by using the wiring of your office or home, which will then change the energy surrounding it, which will make it an environment that is unfriendly for the pests. The outdoor pests won’t even dare to enter your home once they sense the sound waves that this repeller produces. The Set of 4 Ultrasonic Pest Control - Pest Repeller Equipment will help you save hundreds of dollars because you no longer have to control a professional to get rid of the spiders and other insects. Another good thing about this is that it won’t produce any chemicals, which makes it safe to be used around pets and children. You can easily use this by plugging it and let it work to make your home free from these scary looking spiders. Sania Pest Repeller Plus Repellent is one of the strongest kryptonite for the spiders to ensure that they will be gone in no time. 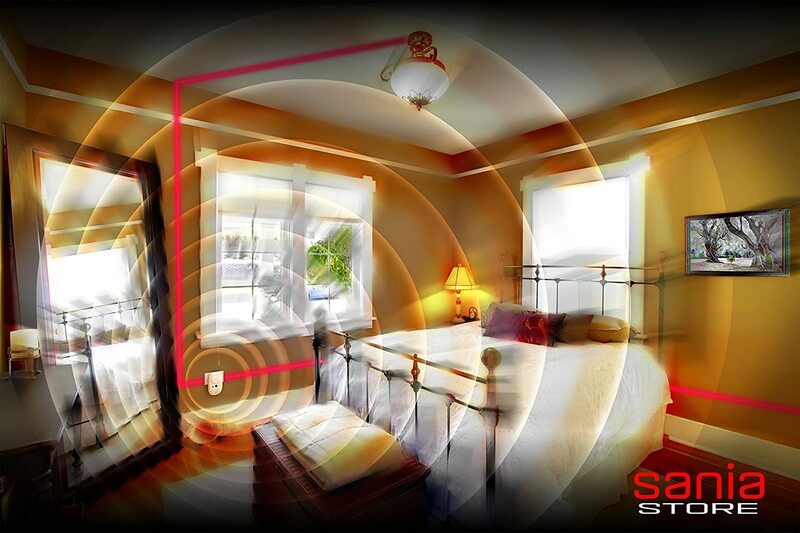 This repellent has an upgraded electromagnetic which will protect a wider space in your home. 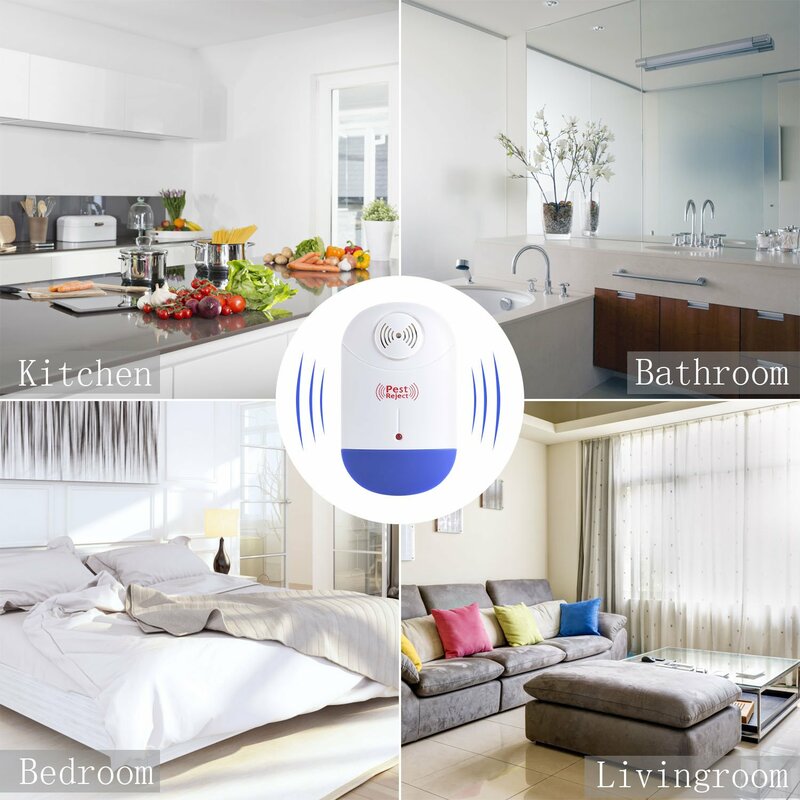 The device will help you to have a spider-free house, which is your primary goal in purchasing this product. The light sensor and the amber night light that this has will be able to get rid of any insects in the darkest places in your home. 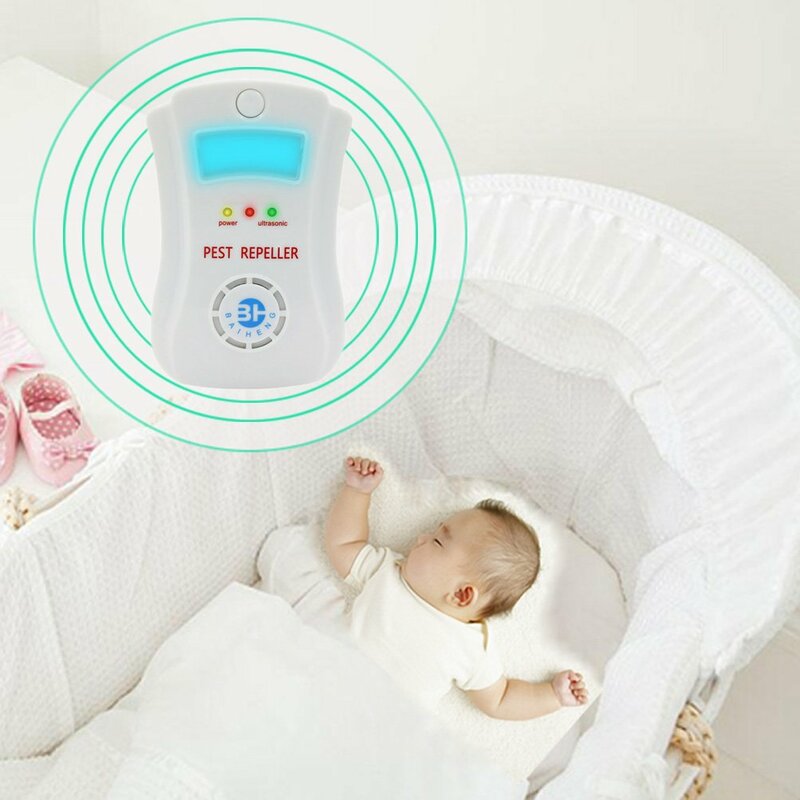 The Sania Pest Repeller Plus Repellent is pet and kid friendly since there is no chemical emitted, unlike other types of repellent. You don’t have to worry about anything because it is inaudible to fish, cats, dogs, and humans. Another good thing about this repellent is that it has a calming effect due to the light blue color that it has. The lifetime warranties that it has will surely make sure that you no longer have to purchase any more repellents at all. These are the best spider repellent that you can choose from in the market today, for you to ensure that you can get rid of these scary looking eight-legged animals. 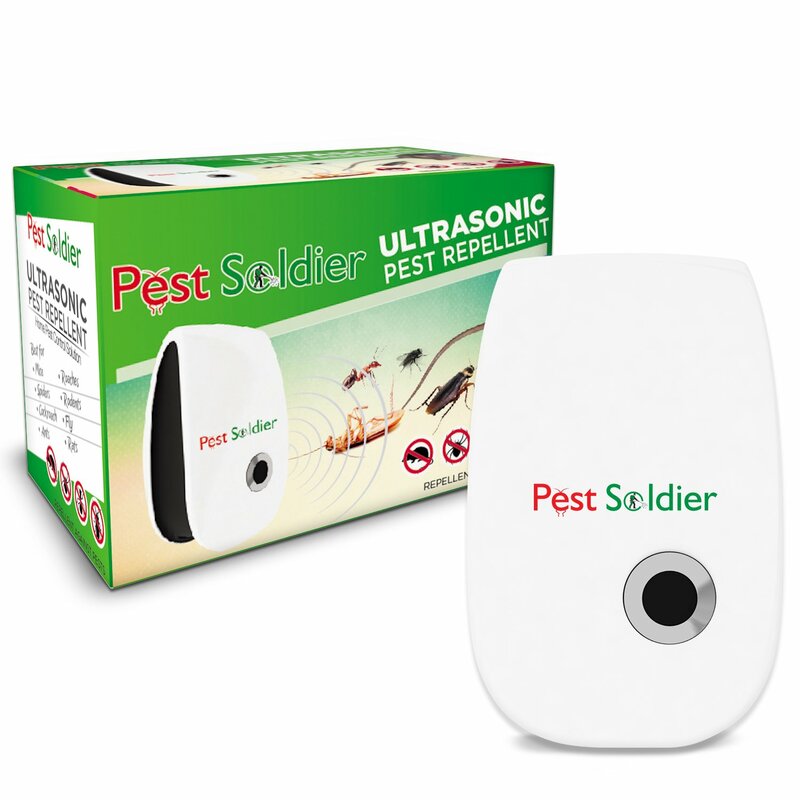 But for this review, the winner here is Pest Soldier Pest Control Ultrasonic Repellent. The reason behind this is because of its ability to effectively get rid of spiders due to the high-frequency sound wave that it has. It can also be used as a night light, which means that it has different purposes. Start using the best spider repelled and you will surely stop worrying about spiders roaming around your home.